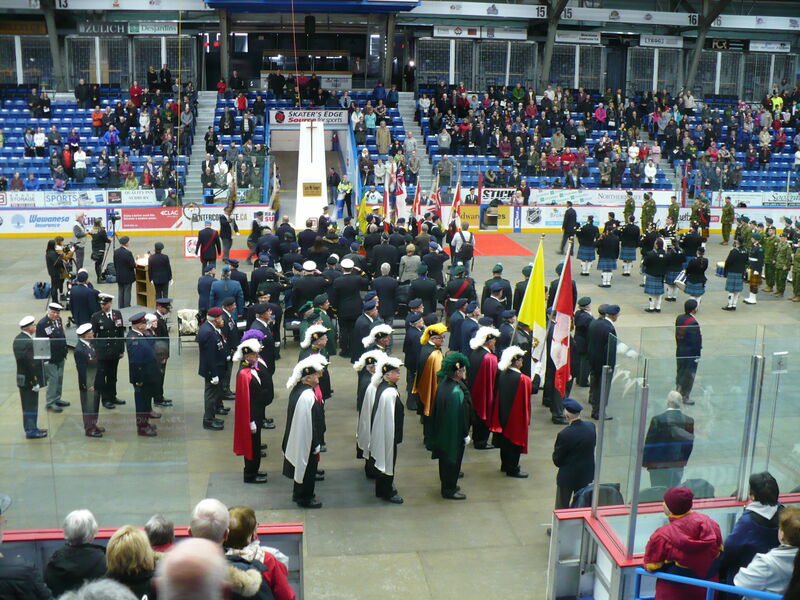 Colour Guard at the Sudbury Remembrance Day Ceremony. This was a joint venture between Assembly 876 Bishop Scollard from Sudbury and Assembly 2250 Mgr Adolphe Proulx from Chelmsford. Find out what your local knights are doing.